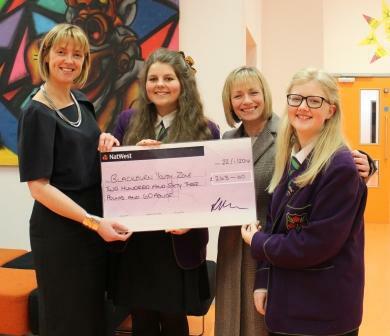 During the Senior School Carol Service, a collection was taken for Blackburn Youth Zone. Earlier today, we were pleased to be able to pay a visit to the Youth Zone centre to present them with a cheque for £263.60. The Youth Zone opened in the centre of Blackburn in June 2012 and is a great success. It is open to children between the ages of 8 and 18 and offers better facilities and safer places for local young people to meet. A varied programme of activities also exists for the children to take part in, such as dance, music and arts and crafts. 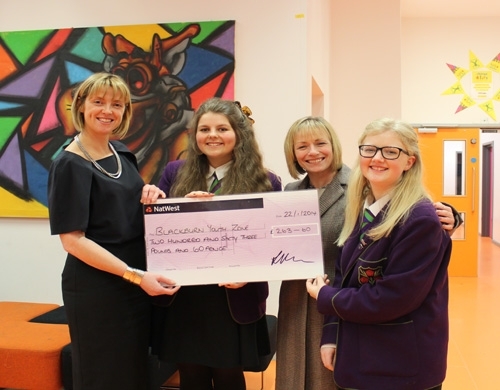 We are sure the money raised by Westholme friends and families will be put to good use.